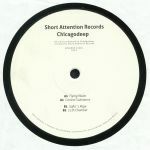 Review: A double dose of debut action here, as Chicagodeep delivers his first solo EP on freshly minted Mexican label Short Attention Records. 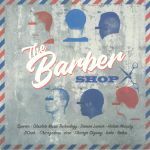 The action begins with title track "Flying Waltz", a pleasantly fuzzy and surprisingly spacey affair rich in jacking machine drums, jammed-out Clavinet style synth parts and deep space electronic melodies. 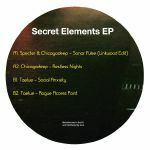 The vintage deep house dreaminess of "Control Substance" follows, before Chicagodeep flips the script completely on the formidably sweaty, full-throttle acid house/deep house fusion of EP highlight "Sofia's Rage". To round things off, the Mexican producer doffs his cap to the early days of Larry Heard's career on the poignant, '86 style Chi-town deep house clatter of "11th Chamber". Review: It's been 18 months since Fundamental Sounds last touched wax but they're making up for it with a four track homage to the first emperor of China's reincarnating, time-leaping warriors. Every track hits with heritage and the right level of drama. 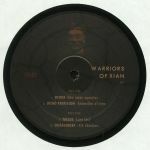 Dcook takes the lead with dream Detroitian tones and textures while Diego Perrisson gets his eerie acid wriggle on while Taelue brings a little sentimentality to the blend with a swooning cut that wouldn't have gone amiss in DJ Gregory's armoury years ago. Finally Chicagodeep returns with a timeless Chicago synth workout laced with strong traces of immersion. Let battle commence.